Have you seen it? If you’re driving north or south on I-85 you can’t help but notice those bright LED headlights coming off of the Audi A3 billboard. Yes, we thought the board was a fantastic and simple way to brand our dealership and catch your attention, and it appears we aren’t the only ones who took notice. 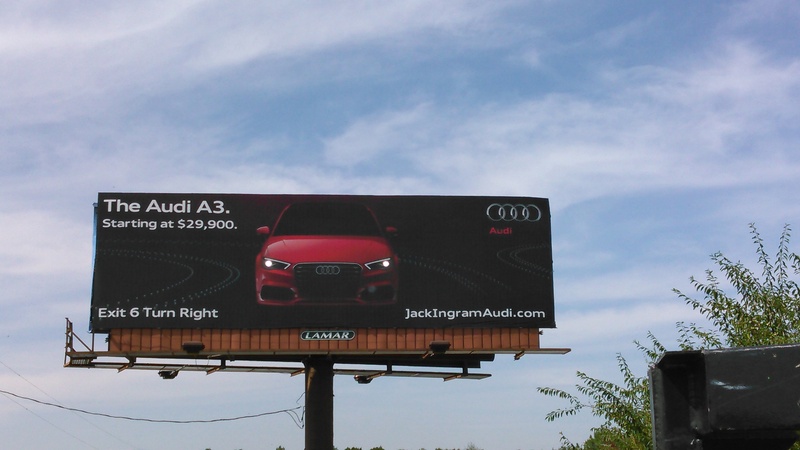 Outdoor Advertising Association of America announced Monday that the Audi A3 billboard is in the finalist category for the 2015 OBIE Award. The OBIE Award is one of the oldest and most prestigious awards in advertising honoring out of home creative excellence in the outdoor medium. The challenge with outdoor advertising is its simplicity. You have to get the visual message right away to achieve results. The Audi A3 billboard in Montgomery accomplishes just that! Out of thousands of entries, the A3 board is now partnered with 90 finalists from all over the nation. The OBIE Award represents brands such as Sonic, Pepsi, McDonald’s, IKEA, Gap, MasterCard, Miller Lite and more. The biggest names in advertising and retail! We’re honored to be a part of such reputable and recognized brands. The 2015 winners will be announced at the OBIE Award Gala in May. The Audi A3 design was created by Jack Ingram Audi’s local advertising agency, Ingram Advertising Agency, and Audi of America Agency, Venables Bell & Partners. The billboard was sold to Ingram Advertising Agency by Lamar Advertising in Montgomery, Alabama. The Nissan brand is on FIRE y’all!! 2015 is off to a great start for our Nissan dealership with the all-new 2016 Nissan Murano arriving at Jack Ingram last month, and now the introduction of the 2016 Nissan Maxima! Both of these Nissan vehicles are beautiful, sporty, edgy, dramatic, head-turning vehicles. 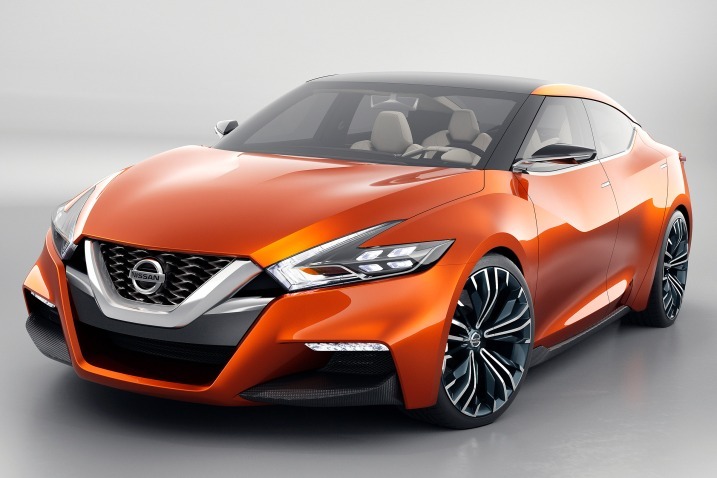 Nissan is setting the bar for car and SUV design in 2015! And it’s only January! This new Maxima is making it’s own segment in the large sedan category. You can’t find many options for sporty large sedans on the market right now which is a bonus for Nissan because it puts this new vehicle in a league of it’s own. The 2016 Nissan Maxima is breaking away from the traditional style of the Honda, Toyota, and Hyundai brands with cookie-cutter large sedan design. Don’t you agree? Jack Ingram Motors in Montgomery is excited about the upcoming Nissan Maxima arrival and the future of the Nissan brand. The Montgomery Nissan dealership just rolled out the 2016 Nissan Murano last month and the buzz on the new Nissan SUV is stirring up the SUV shopper market. Jack Ingram Motors is proud to represent Nissan and as a TIME Dealer of the Year nominee, we hope you will consider a relationship with us and consider any of our brands when it’s time for you next new or used vehicle purchase or lease. We sale and lease Volkswagen, Nissan. 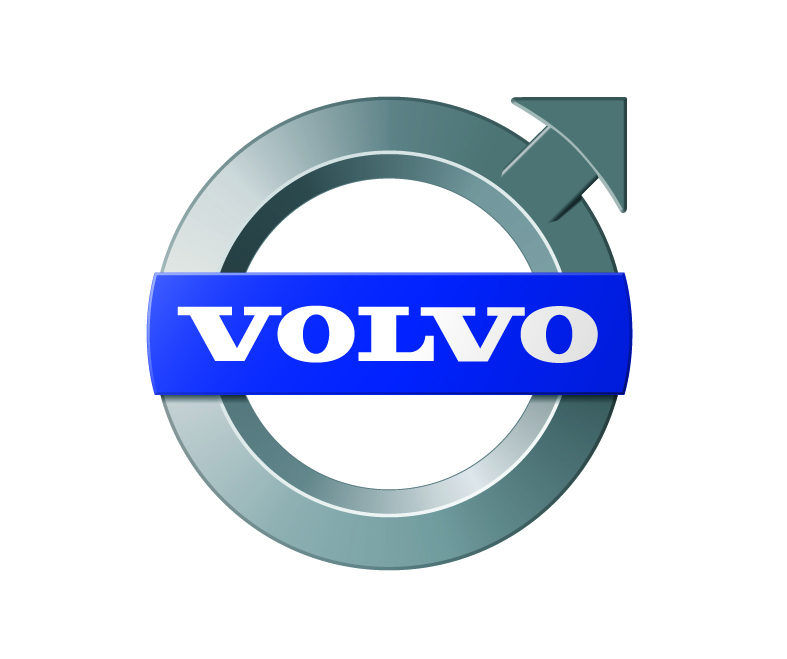 Mercedes-Benz, Volvo, Audi, Porsche, new and used lines and we have the largest used car inventory in central Alabama. Jack Ingram Motors would love the opportunity to earn you business! Follow us on Facebook for more updates on new vehicles coming out in 2015 and stay connected on the release of the new Maxima. “It’s Time to Love What You Drive,” River Region!! And it’s only at Jack Ingram Motors on the Eastern Blvd. in Montgomery! The original XC90 was launched in 2002 and it truly revolutionized the SUV segment with its combination of space, versatility and safety leadership from Volvo. Who better than Volvo to deliver such an SUV. It was a global success, but nowhere more so than in the U.S. where it was our top selling model for seven consecutive years. The all-new XC90 builds from this strong foundation and is tasked with setting the standard for the next generation of luxury SUV. A key development in our all-new XC90 is the interior. As the world becomes increasingly urbanized, people spend more and more time in their cars, commuting. Consumer insights have led to many of the new interior features of the car. Many of the style details that first debuted in the series of three award-winning concept cars made their way to the all-new Volvo XC90. This vehicle’s new design language is inspired by simplicity, functionality and beauty that has become the hallmark of the best Scandinavian design. “The most striking feature is a tablet-like touch screen control console, which forms the heart of an all-new in-car control system,” said Thomas Ingenlath, Senior Vice Presdient Design of Volvo. The modern and spacious interior is the most luxurious ever launched by Volvo, taking its inspiration from Swedish design that integrates the latest technology with design that is clean, beautiful and crafted from the finest materials. 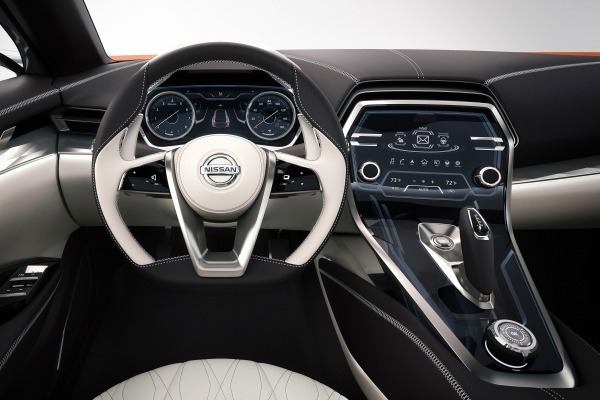 “These details add a bit of exclusive playfulness rather than pure functionality in the otherwise pure and elegant design,” said Robin Page, Volvo Cars’ Interior Design Director. So stay tuned becuase this is the beginning of a very exciting new car launch for Jack Ingram Motors in Montgomery, Alabama. See the all-new Volvo XC90 coming soom to Jack Ingram Volvo. Stay posted for more updates on this beautiful SUV as they arrive. At Jack Ingram Audi in Montgomery, Alabama, we are well aware of the technology standards Audi sets. Audi continues to raise the bar on the best-of vehicle technology on the market today. It appears that Audi has done it again, releasing the Audi Urban Intelligent Assist that connects with the on-board navigation system to, among other things, tell you which street spaces are open and, even better, when a space will be available. It’s like Google Now for parking. 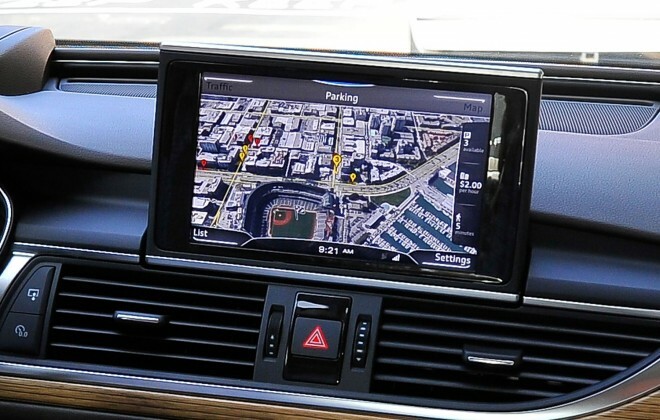 The new Audi-developed app combines a calendar and navigation into basically a GPS planner for day-to-day travels. You set the destination and the app determines how long it will take based on traffic data and when you should leave if you have an appointment set in the planner. It will alert you when to leave and head to the destination with current traffic conditions. Once the navigation programs the destination, it displays a map and dozens of pins appear on streets indicating parking in surrounding areas. Numbers appear on each pin letting the driver know the number of spaces available on that block. How does it know? Sensors in metered parking spaces that mark the spot open or occupied. The system basically personalizes your driver profile and compiles your driving habits. Do you think this type of system will work for our commuters and business people in downtown Montgomery? Wouldn’t if be nice to know if the meter still has time on it and the spot is available. It appears that Audi is constantly evolving to stay ahead of the curb so who knows what we will see next. Check out the Audi A6 at Jack Ingram Audi in Montgomery on the Eastern Blvd. Take a test drive in any of our Audi lineup to get the full effect of Audi technology. It’s time to love what you drive and you will love your new Audi from Jack Ingram Audi. It’s Time to Love What You Drive at Jack Ingram Volkswagen in Montgomery, Alabama. Herndon, Va., January 7, 2014 – Volkswagen of America, Inc. announced today that the 2014 Jetta has earned a 5-star Safety Rating from the government’s New Car Assessment Program (NCAP). NCAP is part of the National Highway Traffic Safety Administration (NHTSA), which is affiliated with the U.S. Department of Transportation, and has provided consumers with vehicle safety information since 1978. The Jetta joins the Passat and the Beetle coupe as 2014 Volkswagen models that have an overall 5-Star Rating. NCAP provides front, side, and rollover crash test ratings, all aimed at helping consumers in making their vehicle purchasing decisions. The rating results are relayed to consumers using an easily recognizable star rating system from one to five, with five being the best a vehicle can achieve. Visit our Jack Ingram Motors dealership in Montgomery and see how the Jetta compares to the vehicles on your shopping list. Check out this month’s November newsletter. We are excited about all the holiday specials coming up at Jack Ingram Motors. There is never a better time to buy a new or used car than the end of the year. Jack Ingram Motors has the largest selection of new and used vehicles in the River Region. Take advantage or our year end offers with large discounts on all 2013 models. 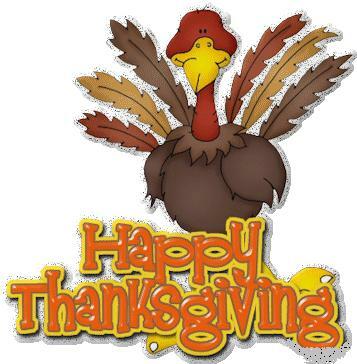 We hope you have a wonderful Thanksgiving and start to the holiday season. We have a lot to be thankful for. Thank you for your business and support in the Montgomery community and throughout the state of Alabama. 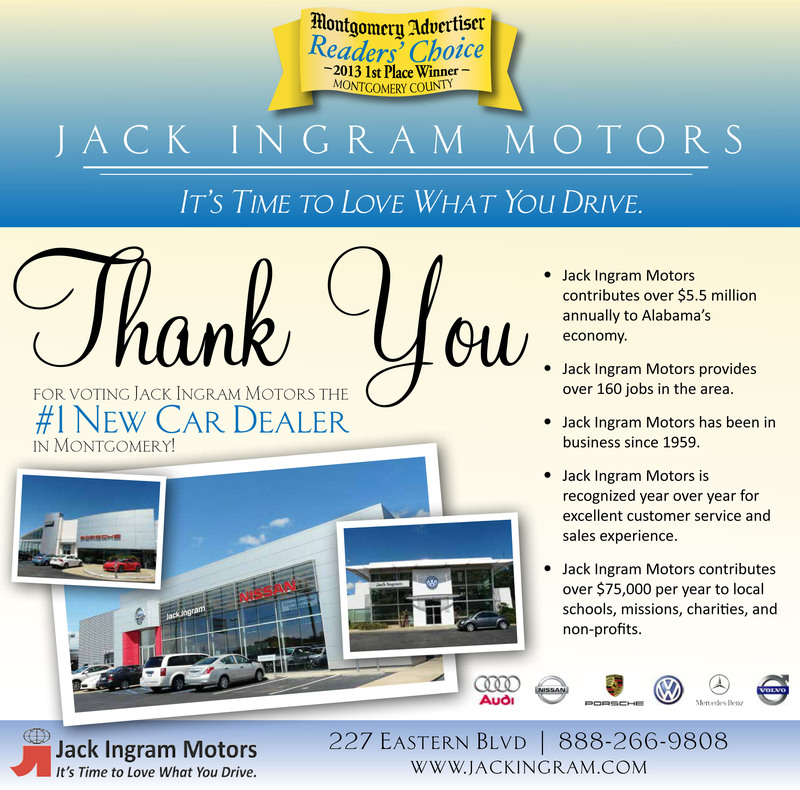 Jack Ingram Motors would like to say thank you to the Montgomery Advertiser readers for voting Jack Ingram Motors as the number one new car dealer in the River Region. We are thrilled to accept this award for another year, and we pride ourselves on serving you to the best of our ability. Our great staff and customer service is one of the many reasons we’ve been in business for over 50 years. The main credit goes to you: our customer. We appreciate your support and for shopping local for your vehicle. It is small locally owned businesses like Jack Ingram Motors that keeps the Alabama economy moving forward. We wouldn’t be were we are today without you so thank you again. Jack Ingram Nissan, Jack Ingram Volkswagen, Jack Ingram Audi, Jack Ingram Volvo, Jack Ingram Mercedes-Benz, Jack Ingram Porsche all voted number one in new car by Montgomery Advertiser Reader’s Choice!